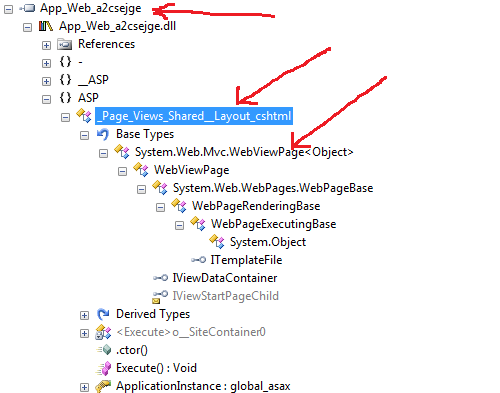 Layouts and Pages are both considered as “pages” as they inherit from “WebViewPage”, making them both “pages” (Web Form’s MasterPage does not inherit from Page class, but from UserControl). Despite that, layouts seem to be compiled to a different assembly than pages. 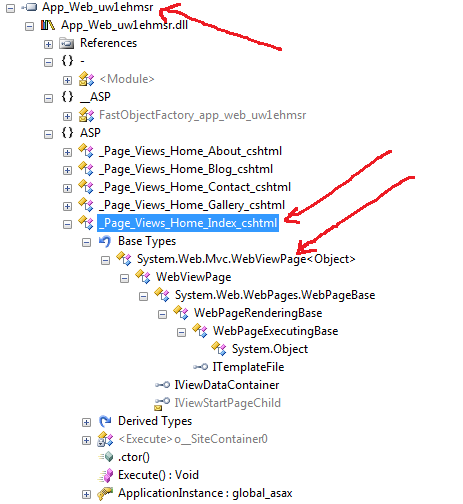 Using the WebViewPage base class we have access to the ViewContext->HttpContext->GetLocalResourceObject, which is what retrieves the resource. 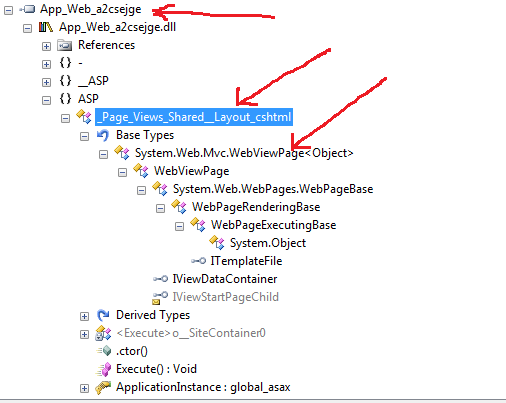 the page.VirtualPath is what “differentiates” the Layout from the Page “resource context wise” . So when we’re in layout context, this will return the layout’s path. When in page context, this will return the page’s path. This is what ASP.NET needs in order to return the correct resource file. Lines 4-7 are not really essential. They simply help in pointing out resource keys which do not exist in the resource file yet. This can also be logged to a log file. Line 1 demonstrates a GlobalResource usage. Line 2 shows the Local Resources implementation.